“My first knowledge of AVC was when I accompanied my daughter to Harley Street to have laser eye treatment which was carried out by Mr Pillai in March this year and she was delighted with the result. Whilst waiting for her I was perusing the booklets looking at all the different treatments carried out by AVC and enquired about having my eyes corrected. 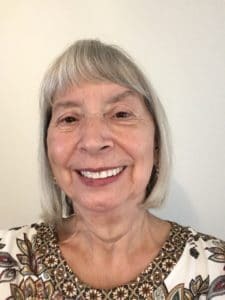 Since I am 71 years old I was advised that the best treatment for me would be Lens Replacement and so I made an appointment for a consultation. Mr Pillai and his staff gave me a full and detailed explanation about the procedure and made me feel that this was going to be the right decision for me. At the consultation I was given lots of eye tests and detailed information about the surgery and this was very reassuring knowing I was getting a very professional service. I then made the decision to have the Lens Replacement surgery to be carried out by Dr Goran Helgason. Dr Helgason did the surgery over a period of two days, one day for each eye, and I am extremely pleased with the result as I can now do everything contact lens and glasses free. The post-operative care is excellent and I would highly recommend Advanced Vision Care to anyone wishing to have this treatment.